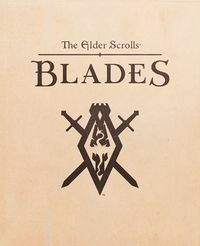 The Elder Scrolls: Blades is an upcoming free-to-play spin-off of the Elder Scrolls franchise. It will feature procedurally generated dungeons (similar to Arena), rebuilding a destroyed town, and PvP combat in an arena. Originally planned to be released in Fall of 2018, the game is set to release in early 2019, and will be released on portable devices, current generation consoles, PC, and be available to play in VR. Additionally, players will be able to play against each other regardless of platform. Limited early access began on March 27, 2019. This page was last modified on 14 April 2019, at 14:48.